California sunshine fills every corner of your new apartment home to offer bright, inviting interiors. Our designs take your home style up a notch, while a private patio provides the perfect opportunity for kicking back after a long day. The conveniences of a fully equipped kitchen make your daily routine easier. Cook up your favorite meals with energy-efficient appliances and afterward enjoy a quick cleanup using your dishwasher. Stay comfortable by taking advantage of your central AC when things warm up in summer. 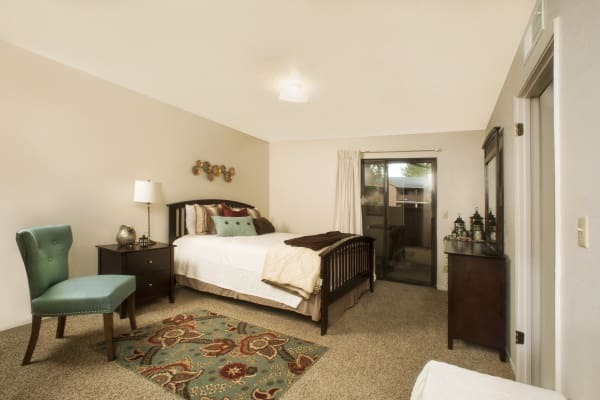 Feel at home in a two, three, or four bedroom apartment designed for your needs. The fun and convenience of life at Pine Tree Apartments extends beyond your front door. Just outside your new apartment home, you’ll have access to plenty of amenities to keep you relaxed and ready to face each day. 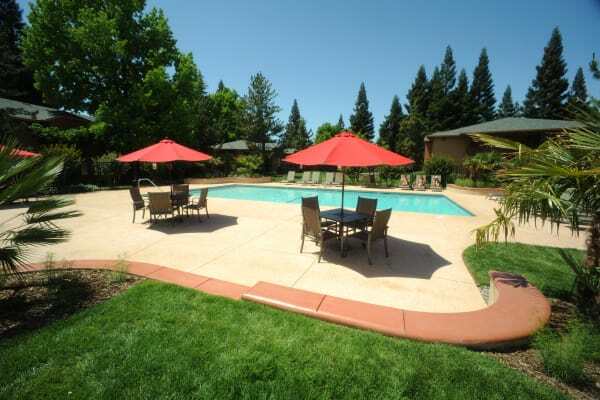 Beat the Chico heat and lounge by the resort-style swimming pool. Hit the fitness center to get in some weight training or mix up your workout and invite friends over to shoot hoops at the basketball court or play some volleyball. With the convenience of online rental payments and onsite management standing by, we make life at Pine Tree Apartments as simple as possible. Want to see our community up close? Contact our team and schedule your tour.